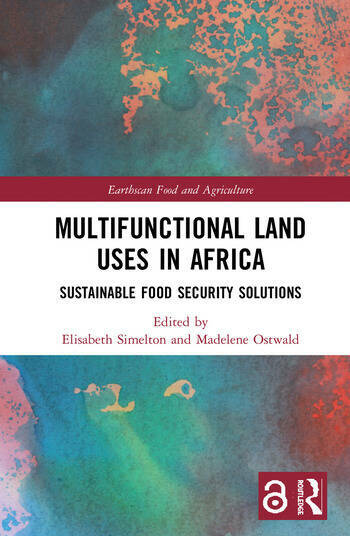 This book presents contemporary case studies of land use, management practices and innovation in Africa with a view to exploring how multifunctional land uses can alleviate food insecurity and poverty. Food security and livelihoods in Africa face multiple challenges in the form of feeding a growing population on declining land areas under the impacts of climate change. The overall question is what kind of farming systems can provide resilient livelihoods? This volume presents a selection of existing farming systems that demonstrate how more efficient use of land and natural resources, labour, and other inputs can have positive effects on household food security and livelihoods. It examines how aquaculture, integrated water management, peri-urban farming systems, climate-smart agriculture practices, and parkland agroforestry contribute multiple benefits. Drawing on case studies from Kenya, Ethiopia, Nigeria and Burkina Faso, contributed by young African scientists, this book provides a unique perspective on multifunctional land use in Africa and illustrates how non-conventional uses can be profitable while promoting social and environmental sustainability. Tapping into the global discussion on land scarcity and linking food security to existing land use change processes, this volume will stimulate readers looking for diversified land uses that are compatible with both household and national food security ambitions. This book will be of great interest to students and scholars of African development, agriculture, food security, land use, and environmental management, as well as sustainable development more generally, in addition to policymakers and practitioners working in these areas. 1. Multifunctional land-use systems – a solution for food security in Africa? 8. Multifunctional land-use practices in Africa: What else do we need to do? Elisabeth Simelton is a climate change scientist at World Agroforestry (ICRAF), Vietnam and project leader of the CGIAR research program Climate Change, Agriculture and Food Security (CCAFS). Her research interests include environmental sustainability issues related to farms, food and the future. Her current work covers landscape adaptation strategies, agroclimate information services, and climate policy. Madelene Ostwald is Senior researcher in the Gothenburg Centre for Sustainable Development (GMV), Sweden and leader for the Multifunctional landscape theme within AgriFoSe2030 programme for agriculture for food security. With a focus on land use, forestry and overall multifunctional land use, her research deals with land-based issues related to climate policy, food security, energy, development and monitoring issues.